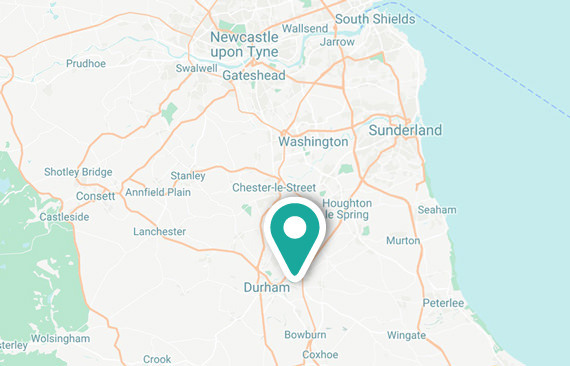 Following a £5million re-development of their City Centre Campus, New College Durham wanted a way to allow prospective students the ability to digitally explore and interact with the impressive campus facilities on offer both online and in-person via the College’s events, exhibitions and off-campus recruitment programme. 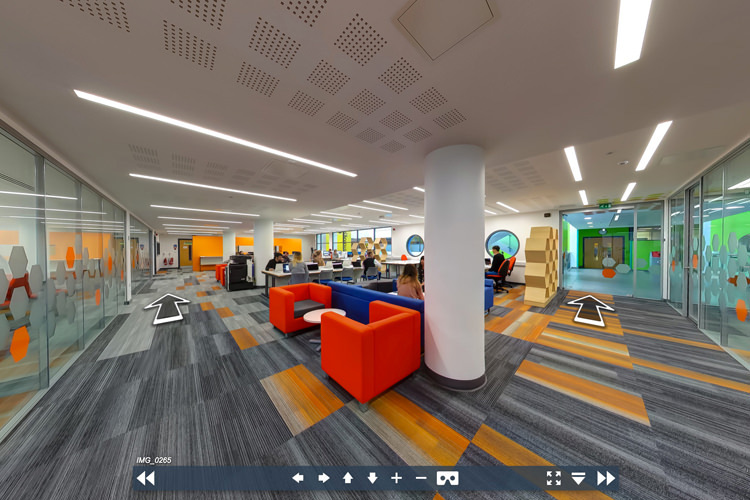 We created a full 360° walkthrough virtual tour showcasing the campus featuring staged scenes with students to bring the facilities to life. 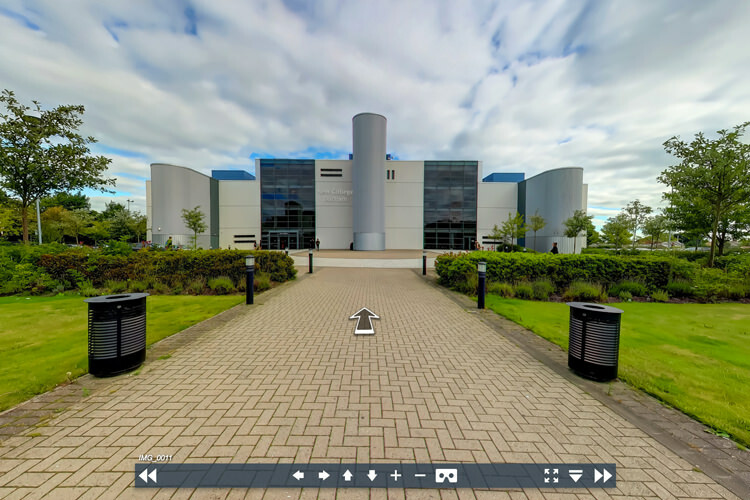 The virtual tour also features a full Virtual Reality version which enables the College to use a smartphone and branded Google Cardboard VR headset to showcase the campus and create an immersive first-person experience at events, exhibitions and off-campus meetings. 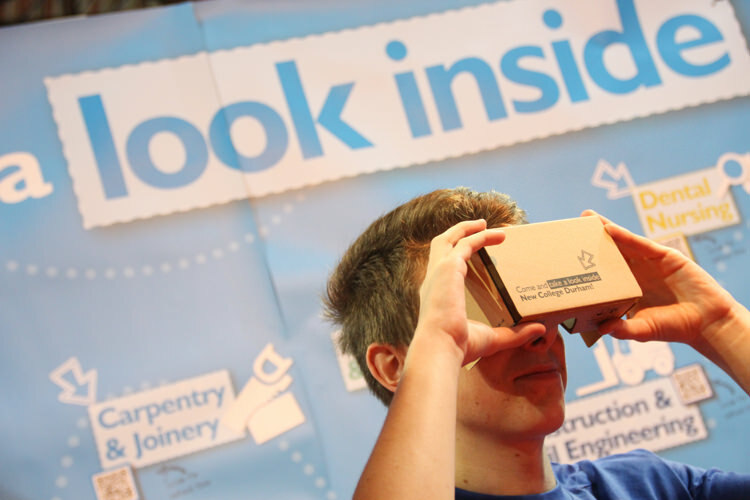 The 360° virtual tour features prominently throughout the College’s website and online channels as well as in-print with the use of QR codes on each of the course guides within the College prospectus.